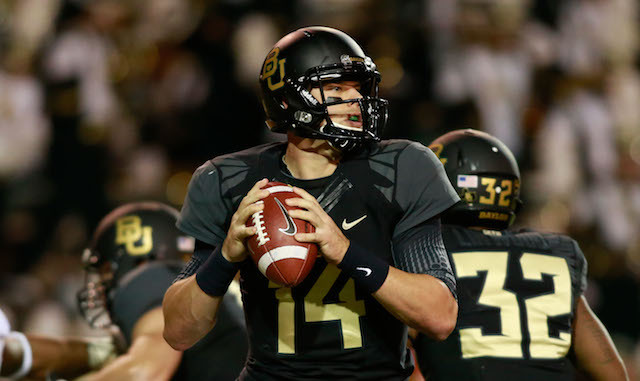 Quarterback Roulette: Where Will Top Prospects Land? This pick has seemingly been locked for a long time. 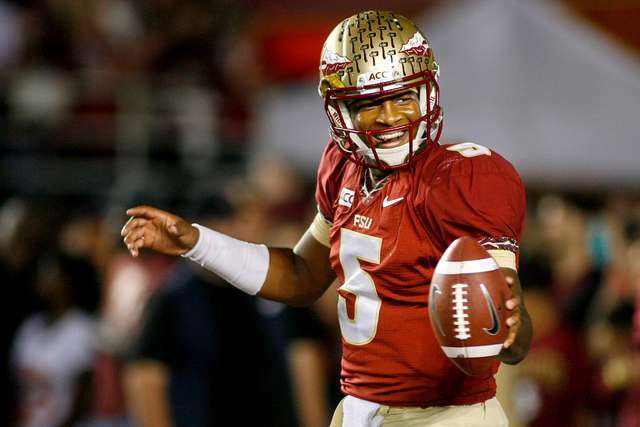 Winston has been the consensus top quarterback in the class and has been almost locked as the top pick for months. Barring some trade or a bold decision, it looks like Winston will be a Buccaneer. It makes too much sense. Tampa Bay has been desperate fort a franchise quarterback for years, Winston is from the Tampa area, the small market could help the media exposure around Winston, and Tampa has some great weapons on offense. With the state of the NFC South, it’s not that far-fetched that if Winston can play well from day one, the Buccaneers could compete for the division title. 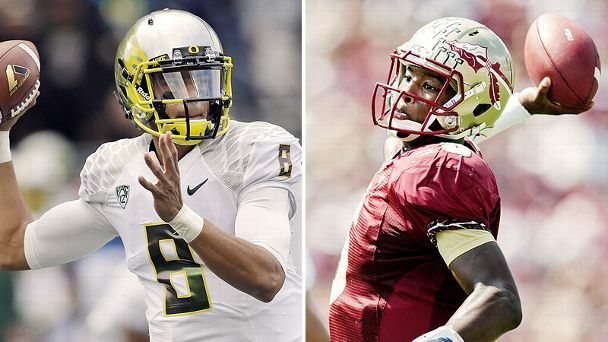 The biggest question about this year’s draft will be where will Mariota go? Will he be drafted high or fall? Will a team trade up for him? Which team could trade for him? In this scenario I have Tennessee grabbing him here for one of two reasons. First, they need a franchise quarterback and Zach Mettenberger is probably not the answer. The other reason he could go here is that Tennessee could play the leverage game and try to trade him for more draft picks. Either way Mariota will probably be off the board sooner than later. Every year quarterbacks go earlier in the draft then projected. It is a quarterback driven lead after all and teams will be aggressive to get a quarterback before they come off the board. With two first round picks, the Browns have the luxury to use one of the picks on a quarterback while still getting a talented player with the other. I have Petty going with the later pick. Cleveland has made it clear that they are no longer sold on Manziel and Petty has the type of character make up a franchise would want at quarterback. Petty will need some time to sit and learn the playbook and with Josh McCown now on the Browns it has made it the perfect situation for Petty to sit and learn rather than playing right away. It also could give Cleveland the excuse to move on from Manziel. The Washington Redskins could be looking to move on from Robert Griffin III. 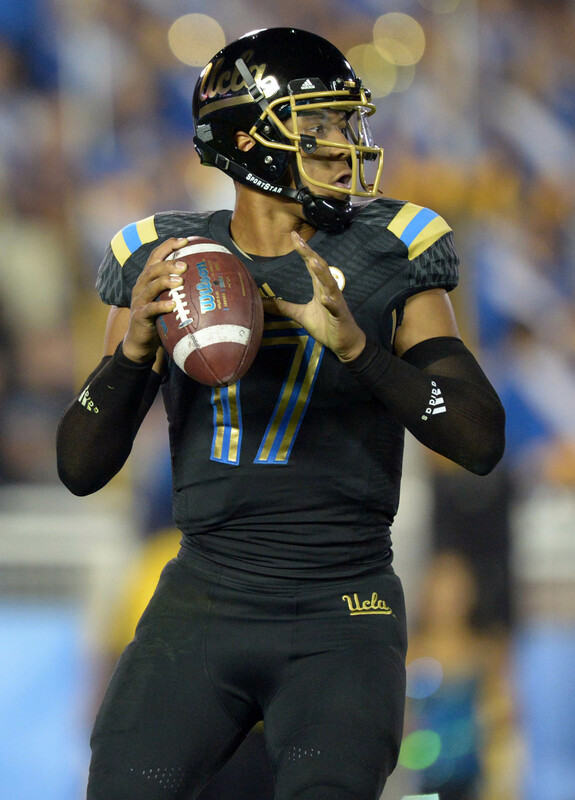 However, they probably will not want to use a first round pick on a quarterback even if Mariota is available. 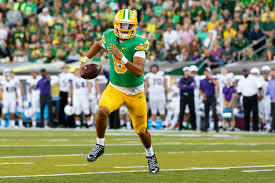 In the second round Washington could take a shot on Garrett Grayson who has been battling Hundley and Petty to be the third quarterback off the board. 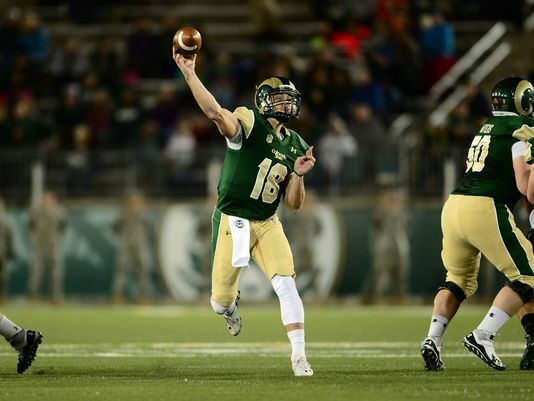 Grayson has the size and enough arm talent to possibly be a future franchise quarterback in the NFL. While Griffin has more physical talent, the problems with his leadership and durability will have Washington looking for a possible replacement plan. Despite three different quarterbacks in 2014, the Arizona Cardinals were able to make the playoffs. However, with Carson Palmer’s health now a question mark the team needs a solid backup plan. Hundley could be the future starter in Arizona, and could be groomed in the meantime under Palmer. Arizona has the defense to be a contender but they will need a quarterback to get there. Hundley could be that option if Palmer is hurt again and Hundley’s skill set is perfect for not only this team but this division. With a division with great defenses and pass rushers, a mobile quarterback in the pocket is crucial. There’s a reason the NFC West has two of the most mobile quarterbacks in the league, it’s because this division has great defenses. Arizona needs a quarterback to get back to the postseason and Hundley is a great security blanket should Palmer get hurt again.